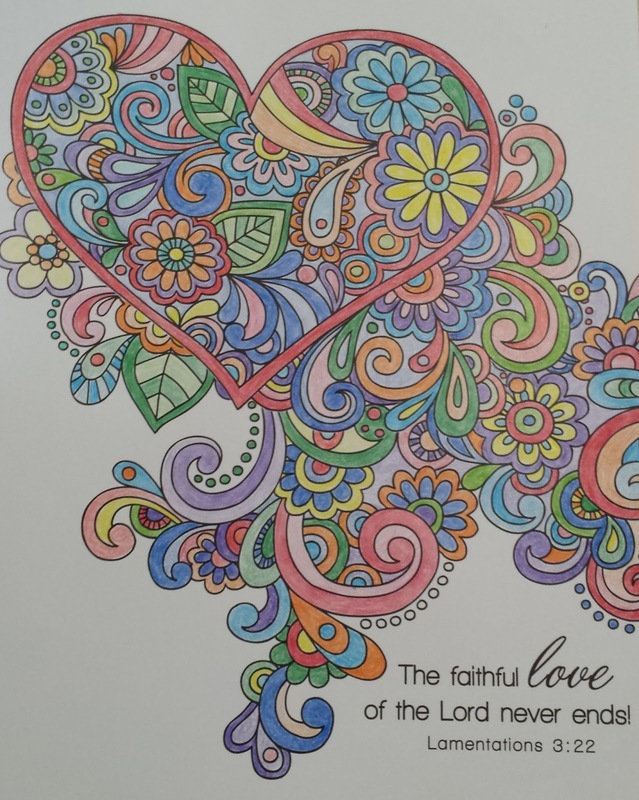 I received a couple of coloring books as Christmas gifts. 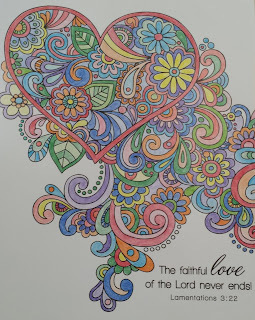 I have really enjoyed playing with my colored pencils and filling in the flowers of this page. I was actually rather engrossed in this project the day after Christmas. I was going to "undecorate", but when I woke up with a killer headache I just wanted to relax. So I was thankful when I found this delightful and time-consuming distraction. By time-consuming I mean hours. It took me probably 4-5 hours spread over 2 days to complete this page, but I love it. I may have a hard time getting back to my sewing machine. But then again, maybe not. I'm going to a quilting retreat this weekend. Yay! 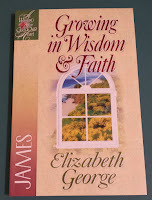 Our small group at church is going to be studying James. 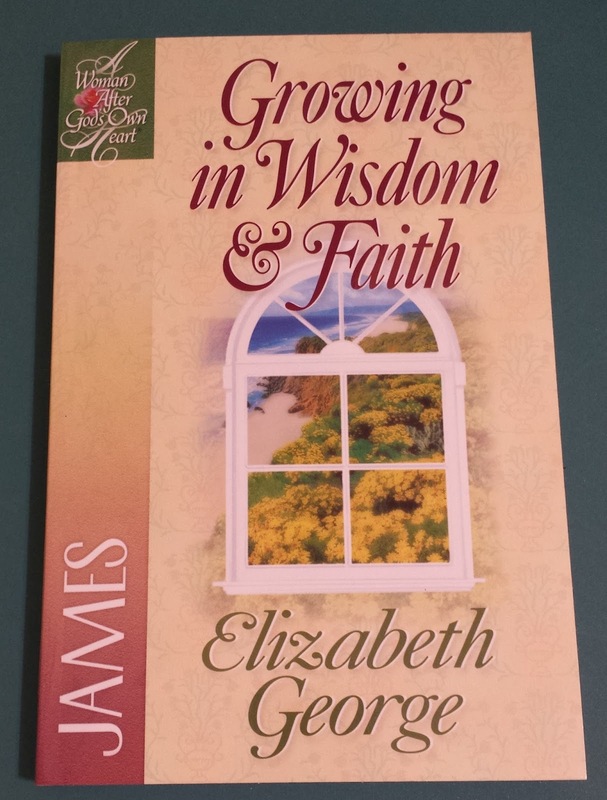 I just happen to have this book I got received last Christmas on the book of James, Growing in Wisdom & Faith, by one of my favorite bible study authors, Elizabeth George. She has a great way of breaking the passages down into bite size chunks and then posing thoughtful questions to help you see what the writer of the passage is trying to say. I need help in this department, because it's not always clear to me. By studying before our group meetings, I hope to be a better participant. Gotta go...it's time to study. I'm going through a study created by Loving God Greatly about the names of God. I've always wanted to do a study like this. Just to focus on God, his character, his names and to really get to know Him better. This study came up as part of my church's womens ministry opportunities. It started before Thanksgiving and goes through Christmas. Perfect timing, right? So far I have learned about Jehovah Jireh (the Lord who provides), Jehovah Rohi (the Lord is my Sheperd) and this week we're learning about Wonderful Counselor. I've been saturated in the bible daily. Meditating over these verses and trying to find obersvations, applications and finally prayers using the selected verses. In this process I'm being reminded so much about things I already knew about God. It is helping draw my mind to him more often. I've discovered that the things I so wanted to know, I already new. But now I'm seeing them in new ways. Isn't that how God works? In the last few days I've had a song by Amy Grant running through my head. It's and oldie, for sure. The name of the song is Emmanuel. It's from one of her earlier records. What a great reminder of the names of God. I know we'll be talking about Emmanuel in an upcoming week. But this song is running through my brain now. Last night at our small group bible study, we were discussing prayer. We defined prayer as communion with God. Once someone said that as the definition, no one else really wanted to say anything, because that summed up what everyone was thinking. Different words could be used instead of communion like talking, communication, or fellowship. But ultimately it is time with God. 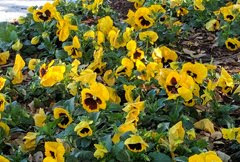 Where I was moved to think differenly after this discussion was in the area of adoring God as part of my prayer time. This isn't something I do nearly enough. I tend to have the Santa approach to prayer and focus on how he can meet my material and spiritual needs. I need to make a point to choose to focus on him. So this is my goal moving forward. To not allow myself or Satan to distract me from worshipping and praising and focusing on God in my prayer times.